Gold Avenue Silver price chart shows real-time data for Silver prices today and the historical price of Silver per ounce. Silver prices may be viewed for any date up to a year by hovering your mouse over the chart to view spot Silver prices for each day. Do you want to join the prestigious family of the precious metal industry? Silver bullions and coins are one of the best ways to get started in getting your foot in the door. Silver is one of the most affordable precious metals available on the market. The prices of silver are also usually independent of stocks, and so they can provide you with a better and secure investment. Purchasing Silver bars is one of the most effective, safest, easiest and smartest ways to invest in Silver. Although, they do not come in as many different mints as coins, these bars are considered timeless classics. They are easy to store, count and upkeep. 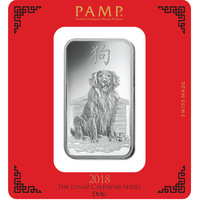 Additionally, for your own security and protection they are stamped with the silver weight, silver purity, the date of the production and the serial number. Silver bullion coins are one of the most popular products sold at Gold Avenue, and they are one of the most popular investments. They come in an array of styles, sizes, weights, and collections. There are often many limited edition coins produced every year on purpose. For instance, in honor of Chinese Lunar New Year, and other important holidays. Silver bars are a long-term investment for any keen investor. Keeping your silver safe and protected for years allows it to increase in value and add a return on your investment. Many investors also purchase Silver as an alternative form of currency. This can protect you against money loss and offer you an alternative payment in case. Silver is often also cheaper than Gold, and easier to purchase. They are really made for everyone. Silver is a cheaper alternative to Gold and other precious metals. It can even be bought by those on a modest budget. There is a wide selection of weights and sizes available to suit you and your investment needs.